Web development firms provide custom development services to help businesses build software, websites, and web applications for both internal and external use. Web developers work with a variety of development software, and some specialize in a particular ecosystem while others offer services in a number of ecosystems. Product and development teams within an organization can work with professional web developers to fulfill an entire project lifecycle or assist with certain individual components of a product build. Web development services go hand in hand with website design services and other creative services, in addition to software testing, to complete a product from ideation to release. Web Developers reviews by real, verified users. Find unbiased ratings on user satisfaction, features, and price based on the most reviews available anywhere. We have created an entirely new experience for those looking to turn ideas into tech products. We offer free scoping assistance, fixed budgets, lightning-fast turnarounds (1-4 weeks on average), money-back guarantees, and simple communication with our team of super-smart generalists throughout the process. We aim to make the magic of technology accessible to all. In this world, software-enabled ideas can come to life without millions in funding or access to closed networks, and smart people can make a living building software without years of coding experience. We are excited to build for everyone, and to change the face of tech. 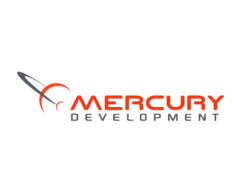 Mercury Development offers unparalleled expertise in all aspects of digital and mobile transformation, from strategy and ideation, to development and delivery. We develop for every major mobile platform as well as emerging platforms and web/database projects. From Startup organizations to Fortune 100 companies, our extensive platform expertise makes us the ideal candidate for multi-platform, cross-platform development and porting projects. iOLAP, Inc. is a big-data and advanced-analytics consultancy operating at the forefront of technology for more than two decades. With a client-centric and business-outcome perspective, we are completely focused on data technologies to create solutions that bring efficiencies, security, and scale to our clients. iOLAP evaluates every client’s unique needs before recommending architectures and technologies. We have selectively partnered with leaders in the space based on two (2) simple criteria: Capability & Usability. iOLAP delivers in-depth expertise in enterprise data warehousing (EDW), streaming low-latency data collection, in-memory processing, parallel processing, and predictive + prescriptive analytics. We serve some of the world’s largest companies across all major industries. Unlike the expensive, big-name, and general technology consulting companies, we don’t try to do a little of everything. We focus on innovation and implementation of robust solutions to handle the variety, velocity, and volume of data you need to be a leader. iOLAP is a one-stop source for… •	Building a comprehensive data and technology road map; •	Delivering strategic data-readiness assessments •	Overseeing database and platform migrations; •	Integration of structured/unstructured data from disparate sources, and ETL implementations; •	Enterprise Data Warehouse (EDW) implementation and support; •	Developing executive dashboard and reporting systems; •	Developing custom, advanced analytics; •	Integration of enterprise systems with voice services such as Alexa, Cortana, and Google Assistant. iOLAP provides leadership and guidance to keep you ahead of the competition. We can help. JSL Marketing & Web Design offers a wide variety of services including website design, SEO strategy and management, content marketing and email marketing, and we are passionate about helping all businesses succeed and grow online. Everything about JSL – from our company culture to the way we work with our clients – is based around our 5 core values. Integrity – We are committed to bringing you the best possible results, and strive to do everything with complete integrity and honesty. That’s one of the reasons why we love to work so closely with our clients during every step of our process. Creativity – Marketing is all about creativity, and we are passionate about finding new ways to bring extra creative flare to all of our projects. We are committed to doing everything with excellence and we won’t stop until your project is perfect. Clarity – Communication is so huge when it comes to marketing, whether that be our communication with you – our client – or the way in which your brand communicates with your target audience. We aim to bring clarity to all aspects of the communication funnel. Authenticity – When you work with JSL, you can rest assured that every step of the process will be met with the upmost authenticity. We’re true to our brand and our values, and we’re also committed to bringing that same authenticity to your own brand. Positivity – A positive attitude can go a long way, and we think it’s one of the most important aspects to any working business relationship. Positivity is often a catalyst for creativity, and we are dedicated to maintaining a positive, happy working environment. Want to learn more about our 3 step process and marketing services? Great! Contact us today at (817)-470-5274. Beacon Technologies offers web solutions through web design, web development, digital marketing, and hosting. CakePHP is one of the most powerful Open Source PHP Framework. It helpful for developing web application simpler, faster and require less code. Coherence Design implements web applications and has a knowledge in a range of services and solutions packages to match the competitiveness of SaaS. iTechArt blends both the well-established and brand new tools to build disruptive web products with robust backends and contagious UIs. We become part of your team to help you not only deliver your product to the market but also grow it at a blazing speed. M-Connect Media is one of few eCommerce companies developing solutions for Magento websites since Magento first launched in Market in 2008. NodeJS development company uses the system as an integral part of our stacks to deliver clients with the best products. Also, its package ecosystem known as thenuclear-powered mushroom is the largest open source library all over the world. Uses the best practices, cutting-edge technologies, highly secured frameworks, best coding tactics and great designing methods to create the best web applications in the world. ProtonBits creates a distinct identity over the web for your company by leveraging the outstanding functionalities of WordPress. At 8th Light, we craft software—from mobile to microservices—that is beautiful, durable, and shows pride in workmanship. Instead of developing software as specialists in isolation, we take pride in helping our clients understand their systems and building products that prioritize humans over computers. A2 Design Inc. is a web development company with head office in Russia, Omsk. Asterion Software is a provider of digital tools for small businesses. 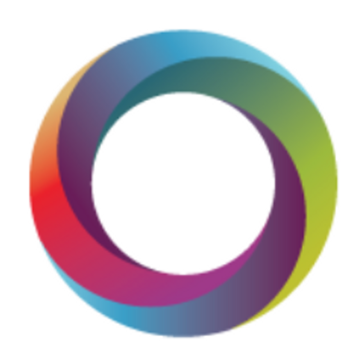 Bold Commerce specializes in eCommerce websites & app development. BuildEmpire is a reliable, forward-thinking, software development team. We offer long-term technical solutions that don’t just provide new features but change the way people do business. With expertise in training software and eLearning, we specialize in customizing learning management systems to help clients deliver meaningful eLearning. We are Totara partners and have experience working with Moodle and other eLearning technologies. We do all the things you’d expect of an enterprise-focused development house, including an agile workflow, version controlled source control, and externally visible project management, as well as bringing to the table that personal touch of endless dedication and meticulous attention to detail. Our ultimate goal is to bring you success. We will treat your business objectives as if they were our own, and work with you side-by-side throughout the development process, adapting as you need us to. We listen, we build, and we are in it for the long haul. Since BuildEmpire was founded in 2002, by software engineer Fred Thompson, we have been a silent technical partner to businesses across a range of markets, from universities and training providers to e-commerce agencies and popular consumer brands. Using our tried and true Success Model, our technology experts help you identify the best strategies for combining custom and off-the-shelf components. Cleveroad builds Web and Mobile solutions that fit any industry and budget. Dealing with business segments, startups and private clients, we apply advanced technologies that let businesses grow. Cleveroad has skilled IT people in 5 countries worldwide and R&D operations based in two Ukrainian IT cluster cities - Dnipro and Kharkiv. We’ve earned our expertise by building 500+ custom B2B and B2C apps for a variety of industries and business domains, including FinTech, Healthcare. Agriculture, Logistics, E-Commerce, Real Estate, etc. We provide our customers with full-cycle servicing that covers all the aspects of software production: End-to-end mobile and web development; UI/UX design Cloud-based solutions; AR, VR, AI, Big Data and IoT solutions; Advanced Quality Assurance; Dedicated Agile teams. Our initial goal is to make our clients confident of quality. That’s why we immerse into client’s business challenges and involve them in the process as soon as we can. What do our prospects get after the first contact? Business case and objectives understanding; Defined project scope - delivery process,timeline and deliverables; Expert vision of the future product’s functionality; Rough cost estimation. Working with our clients, we pay special attention to selecting the appropriate technology stack that will support client’s solution and provide foundation to its scaling. Cleveroad offers a frequent and open communication using skype, email, phone calls and meetings. Adding value to your idea, we build the climate of trust and respect, which is the bail of long-lasting partnership. Cocomore is an agency for communication and IT with over 150 employees and offices in Frankfurt/Main, Seville and Geneva. ProtonBits have an expertise CodeIgniter Development team who can delivered a highly complex website application. With having strong platform with the MVC structure, we recommend to the business owner to choose a CodeIgniter platform to build a website application. Commerce Pundit is a full service Web Development & Graphic Design Agency specializing in strong corporate identity creation & custom magento eCommerce solutions. Diceus is a leading enterprise product development and service company headquartered in Vilnius, Lithuania, and Kiev, Ukraine. End Point is a full-service ecommerce consultancy. We have the expertise and knowledge to choose the right tools, look at the big picture, and excel in all aspects of the industry. Empowering Online Entrepreneurs and Retailers Worldwide by Maximizing Magento Performance. Magento Extensions, Configuration and Services. FFW delivers innovative ideas, human-centered designs, and the best technologies to create compelling digital experiences. Geeks Chicago is a full-service web and mobile development firm with over ten years of experience. From design, development, and support our Geeks are here for every step of your project. Hidden Brains is a web and mobile app development company that offers next-generation IT services. iMOBDEV offers a wider range of extra-ordinary services in Mobile Application Development. With a team of skilled experts in Mobile Application Development, iMOBDEV fetches an extensive variety of apps that make us a prominent player within the cyberspace. iWeb are accredited Magento specialists. Lullabot is a strategy, design, and Drupal development company that has created some of the most high-profile and award-winning websites for large-scale publishers. As one of the first Drupal agencies, Lullabot is highly recognized for their body of work, authentic approach, and leadership in Drupal innovation, having contributed to more than 150 modules. Lullabot clients include NBC Universal, George Lucas Educational Fund (Edutopia), NYU School of Medicine, IBM, Hotwire, The Recording Academy, Verizon, and Google. We're Lullabot; it's great to meet you. Onilab has been at the forefront of the Magento development since 2011 and E-commerce growth has already become our second name. Pyxl is a digital firm that create digital experiences to engage audiences, drive leads and grow businesses. When you hire a ReactJS Development Company for your web application, they make your web app's user interfaces more interactive for your customers. It supports a painless transition every time there is an update by just altering the changes rather than going through the whole process again. This helps in easier debugging and a more predictable code in general. Ruckus is an agency that provide web design, app development, branding & interactive marketing to powers game-changing companies and global influencers it offer strategic engagements in branding, platform design, and campaigns consistently drive greater consumer action and awareness. We offer Drupal website development services that are delivered by a team of Acquia Certified Drupal experts. Our goal is to help you focus better on other aspects of your business while we take care of your web works with Drupal. We can provide you an effective and efficient end-to-end service stack and take you from “idea to revenue”. Whether it is end-to-end execution you are looking at or assistance in building custom modules on Drupal, Drupal theme creation/integration, Specbee can provide you the best Drupal CMS development services. We are a web design and software development agency based in San Francisco, California and Minsk, Belarus. More than building beautiful websites and slick digital products, we create digital leaders, businesses that outperform their peers in both results and shareholder value creation. We understand the science behind digital leadership and have developed a method that identifies exactly where our clients should invest to get the greatest return. From there, we build digital experiences that get noticed and drive results taking your business to the top of your category. Universal Commerce Group is an international Internet holding company that owns and manages 25 international projects in e-commerce: finance, medicine, fashion, real estate, auto, employment and recruiting. Hi there! Can I help you find the best Web Developers solutions?